Electrical problems such as flickering lights and surges are common problems, but that doesn’t mean that you should take them lightly. Today, your licensed residential electricians, Bailey & Shipp, show you how to troubleshoot three of the most common home electrical problems. Overlamping occurs when the light bulb has a higher wattage than the fixture it’s actually designed for. This issue violates electrical codes in most states, as the intense heat from the bulb can melt the socket and the wires. This can then lead to arcing and even electrical fires. How can you tell if the light fixture is overlamping? Easy. You can simply feel the increased heat from it. The solution is equally simple as well: be aware of the wattage limit on each light bulb. In fact, our residential electrical repair pros suggest sticking to 60-watt bulbs or smaller. Loose wiring is the most common culprit of flickering lights, which may happen if the bulb wasn’t screwed tight into the socket or the light switch hasn’t been wired properly. You don’t need to sweat it in this case, as you simply need to call us, but at other times, flickering lights can signal a more serious problem. This could be because of fluctuating voltage or the overhead electrical cables from the street are moving, like on a windy day. Like overlamping, overwired panels are electrical code violations due to their ability to cause property damage. This happens when the panel contains more circuits than it can accommodate, causing overheating. This could also lead to blown fuses or circuits. As a generator installation services expert, Bailey & Shipp can suggest a few ways to avoid this. You can simply unplug electrical appliances, not in use or avoid daisy-chaining power boards. 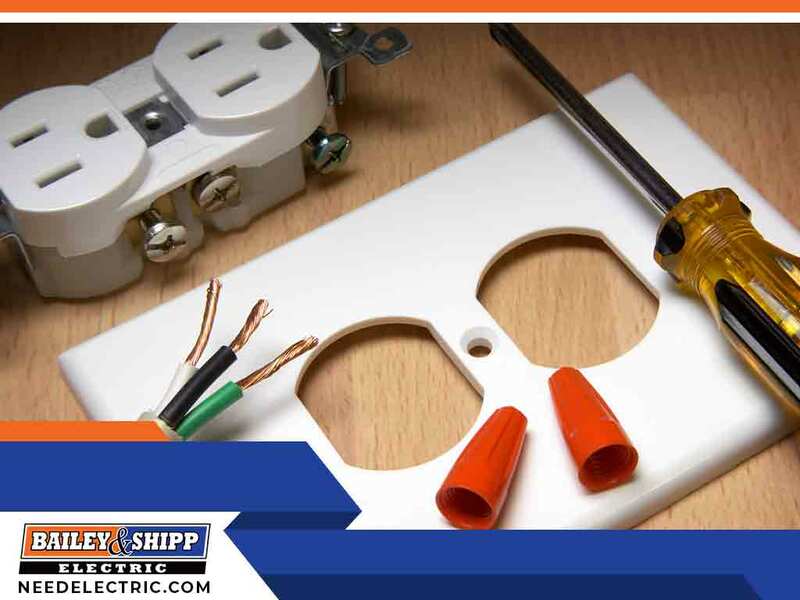 Disperse your electrical needs around other panels as well. We can also help you add sub-panels to your existing one or even upgrade it to a larger model. For other problems that can’t be solved with a little elbow grease, turn to our team at Bailey & Shipp. We can help you with home wiring issues, whatever they may be. Fill out our form or call us at (410) 927-8606 to request a free estimate. We serve Columbia, MD.